Our small business provides tools to make Montessori more accessible. Over $95 value! Click here for more information. 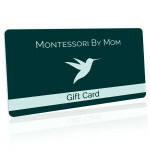 What’s a Montessori By Mom Toolbox? We provide hours and hours of Montessori inspired activities developed by expert Montessori teachers. Each toolbox has instructional videos, extra resources, and high quality materials. Focus on having fun and teaching your kids, not wasting time doing research and creating materials. Each Toolbox is themed, so your kids will love them. They think it’s fun, and you know it’s learning. A total win-win! A great way to give continuity to a Montessori preschool at home, supplement a traditional preschool, or for use as part of a homeschool curriculum. A no brainier for a busy mom like myself! 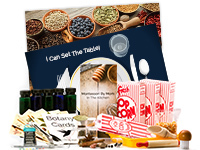 I love the idea of a program that sends me supplies and instructions at the snap of a finger! Your idea is wonderful and creative! Getting a themed set of materials once a month is a great way to start a home environment on a budget or add new materials like I am. This is a brilliant idea! I can comfortably introduce new materials without a lot of study or prep work on top of my already busy workload.